S -14° 51' 35" and E 34° 54' 36"
Kalimanjira in Ntcheu District (Central Region) is a town located in Malawi about 97 mi (or 156 km) south-east of Lilongwe, the country's capital place. Time in Kalimanjira is now 09:08 PM (Thursday). The local timezone is named Africa / Blantyre with an UTC offset of 2 hours. We know of 8 airports nearby Kalimanjira. The closest airport in Malawi is Mvuu Camp Airport in a distance of 26 mi (or 42 km), East. Besides the airports, there are other travel options available (check left side). There are two Unesco world heritage sites nearby. The closest heritage site in Malawi is Lake Malawi National Park in a distance of 62 mi (or 99 km), North. Being here already, you might want to pay a visit to some of the following locations: Balaka, Ntcheu, Machinga, Mangochi and Neno. To further explore this place, just scroll down and browse the available info. Let's start with some photos from the area. Short video showing some Jatropha hedgerows at Toleza Farm along with some of the early Jatropha oil extraction activity and some other pictures of Jatropha plants across the farm. 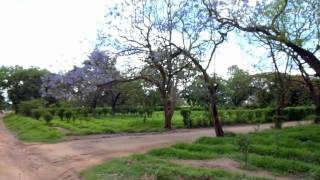 Balaka is a township in Southern Region, Malawi and headquarters for the Balaka District. The township was formerly a boma of Machinga District, before the Balaka District was created in 1998. A growing commercial center on the road from Zomba to Lilongwe, as well as on a Blantyre-Salima rail route. The immediate trading centres that surround Balaka are Ntcheu, Phalula, Liwonde and Ulongwe. The town is situated roughly 130 kilometres North of Blantyre and about 200 kilometres South of Lilongwe. Located at -14.9167, 34.8667 (Lat. / Lng. ), about 5 miles away. Balaka is a district in the Southern Region of Malawi. The capital is Balaka. The district covers an area of 2,193 km. ² and has a population of over 310,000. The district's population is increasing at a rate of 2.3% per annum. Major attractions in Balaka District include St. Louis Montfort Catholic Church, the Andiamo Vocational Complex [www. andiamotrust. org www. andiamotrust. org] and the Chifundo Artisans' Network [www. ChifundoArtisansNetwork. com www. ChifundoArtisansNetwork. com]. Located at -15, 35 (Lat. / Lng. ), about 11 miles away. Ntcheu is a district in the Central Region of Malawi. It borders with the country of Mozambique. The district headquarters known as BOMA in local language is located in Village Headman Yeneya and the place is commonly called Mphate. The district covers an area of 3,424 km. 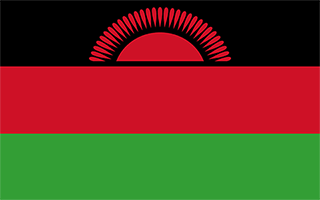 ² and has a population of 474,464 according to 2008 Malawi population Census. Out of that 226,567 are males and 247,897 are females. It lies half way between Malawi's majors cities of Blantyre and Lilongwe the capital city. Located at -14.75, 34.75 (Lat. / Lng. ), about 13 miles away. These are some bigger and more relevant cities in the wider vivinity of Kalimanjira.